N Scale Kits are tooling a number of the Thrall Double Stack wellcar family. 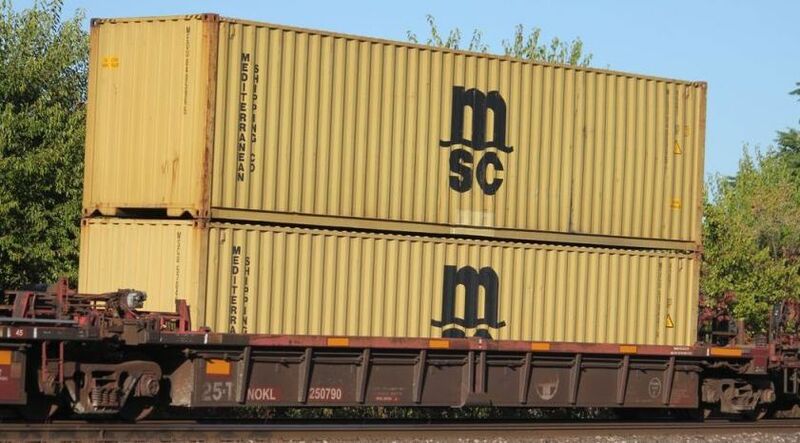 As intermodal container traffic grew across the US, Thrall wanted to manufacture container wellcars. Unable to use Gunderson's original proprietary design, Thrall developed their LoPac 2000 low sided container car. The distinctive rib sides of the Thrall are a ready spotting feature that Thrall cars carry to this day. The original Thrall cars were designed to take a 40 foot container in the bottom and a forty footer on top. Some of the cars were equipped with hard points to attach 2 20 footers in each well. All were able to carry a 40, 45, or 48 foot container in the upper position. Thrall sold the cars as single cars, in drawbar consists and as 5 car articulated units, with cars intended for 40', 45', 48' and even 53' containers in the bottom well. Later some of the 48' cars have been cut down to 40' length - but retaining the rib structure of their orginal 48' cars. It is intended to produce a variety of kits to reflect the significant variety of similar cars in service from 1985 to today. For the end trucks we will be suggesting MTL 1033, with body mount couplers and for the middle trucks in articulated consists, the MTL 1031.